Asymptotic methods include asymptotic evaluation of integrals, asymptotic expansion of solutions to differential equations, singular perturbation techniques, discrete asymptotics, and others. In this talk, we present some of the most significant developments in these areas in the second half of the 20th century. Professor Roderick Wong is Chair Professor of Mathematics and Director of the Liu Bie Ju Centre for Mathematical Sciences at City University of Hong Kong (CityU). Professor Wong obtained his BA degree in Mathematics from San Diego State College in 1965 and his PhD from the University of Alberta in 1969. Prior to joining CityU in 1994, Professor Wong worked for 25 years at the University of Manitoba where he was Assistant Professor, Associate Professor, Full Professor, and Head of the Department of Applied Mathematics. Professor Wong joined CityU as Professor and Head of the Department of Mathematics in early 1994. In 1995, he led the effort for the establishment of the Liu Bie Ju Centre for Mathematical Sciences and was appointed Director of the Centre. He was Vice-President (Development and External Relations) (December 2009 to June 2015), Vice-President (Research and Technology) and Dean of Graduate Studies (April 2006 to November 2009), Dean of Research and Graduate Studies (October 2004 to March 2006), and Dean of the College of Science and Engineering (May 1998 to August 2004). Professor Wong has been awarded the Killam Research Fellowship from the Canada Council, the Rh Award for Outstanding Contributions to Scholarship and Research from the University of Manitoba, and a number of honorary professorships. He is a Fellow of the Royal Society of Canada, a Member of the European Academy of Sciences, and a Foreign Member of the Academy of Sciences of Turin. In 2004, he was awarded the Chevalier dans l'Ordre National de la Légion d'Honneur by the French government. Professor Wong's research interests include asymptotic analysis, singular perturbations, integral transforms, integral equations, and ordinary differential equations. R. Wong. 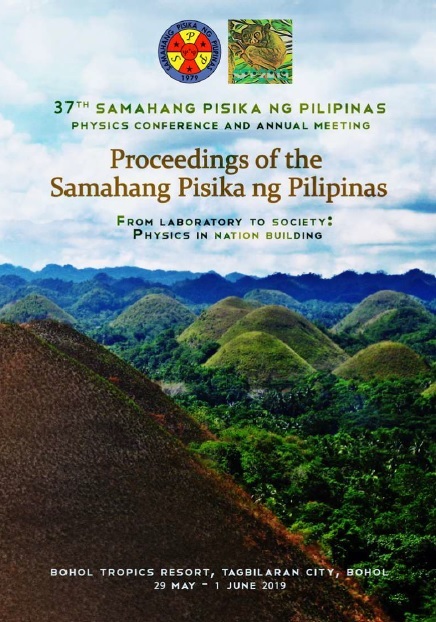 A panoramic view of asymptotics, Proceedings of the Samahang Pisika ng Pilipinas 37, SPP-2019-INV-3A-01 (2019). URL: https://paperview.spp-online.org/proceedings/article/view/SPP-2019-INV-3A-01.